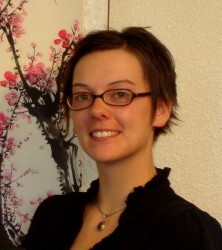 Cass McLean is a Licensed Acupuncturist in Moscow, Idaho. Cass graduated from Bastyr University in 2008 with a Master of Science in Acupuncture and Oriental Medicine. She is board certified by the NCCAOM (National Certification Commission for Acupuncture and Oriental Medicine), a member of the American Acupuncture Council and the President of the Idaho Acupuncture Association. She is licensed to practice acupuncture in the state of Idaho. Cass has worked in a variety of settings including the Chronic Fatigue and Fibromyalgia Clinic at Harborview Medical Center and the Evergreen Treatment Center for substance abuse, both in Seattle, WA. She finished her Chinese herbal training at the New Shu Guang hospital in Shanghai, China. Cass is trained in traditional Chinese medicine to treat a variety of conditions using acupuncture and herbal therapies, including infertility, allergies, substance abuse, cancer recovery and autoimmune disorders. She specializes in pain management and psychobiological wellness related to stress, anxiety, migraines and digestive disorders. Cass was born and raised in Moscow, Idaho and looks forward to providing care for her hometown community.